What is Ferrous sulfate heptahydrate and How is it used ? Ferrous sulfate heptahydrate also known as Iron (II) Sulphate is a blue green crystal with the formula FeSO4.7H2O. Originally it was known as “green vitriol” or “copperas”. It is soluble in water and melts at 64C. It is produced as a by-product of the pickling of steel. It is used as a mordant in dyeing wool, in the manufacture of ink, in water purification as a substitute for aluminum sulphate, as a fertilizer, and as a feed additive. It is also used to produce magnetic ferric oxide. It is used as a lawn conditioner,and moss killer. See below for full details on application. It has been applied for the purification of water by flocculation and for phosphate removal in municipal and industrial sewage treatment plants to prevent eutrophication of surface water bodies. We would advise that initially you test a small area with a 1% Ferrous Sulphate Heptahydrate solution (ie. 10gms/1L of water). If this does not give the desired effect a stronger solution can be used up to a maximum of 5% Ferrous Sulphate Heptahydrate (50gms/1L of water ). A typical average strength to use would be a 3% solution. To make the solution add 30g of ferrous sulfate for every litre of water (for example for a 15L sprayer you will need 450g of ferrous sulfate ). An acre is approx 4050 sq m. Therefore a 3% solution applied at 5sq m per litre will require 810L of solution which equates to 24.3kg of ferrous sulfate powder. Application of the solution should be at a rate of 5 square metres for every litre of chemical mix. Apply evenly over lawn etc avoiding overspray contact with other plants and paths, patios etc. After 2 to 3 days you will see that the moss has turned black in colour indicating that the moss has been successsfully killed. At this point one should use a tined rake to loosen and remove dead moss. Application of a lawnmower set to low cut will help in the removal. Please note: the grass cuttings and dead moss should not be added to compost bins. Please be aware that ferrous sulphate is only for use on grass areas and is not designed to be used on hard surfaces as it may stain. For hard surfaces like roofs, paths, patios etc Zinc Sulphate can be used or a proprietry chemical like MossKill Premium. If ferrous sulphate comes in contact with concrete for example it will stain the surface brown which effectively is a rust stain. To remove this stain one will need to use an acid solution like Oxalic acid (used as a 5% solution). When treating lawns etc with ferrous sulphate keep pets off the surface for at least one week. This protects their well being and prevents transfer of residues onto hard surfaces (i.e. brown staining). An over usage of Ferrous Sulphate can be harmful if the land being applied to has a low pH (very Acidic) as Ferrous Sulphate is naturally very acidic with a pH of 2.5. What is Iron (II) Sulfate heptahydrate and what is it used for ? Iron (II) sulfate heptahydrate also known as Ferrous (II) Sulphate is a blue green crystal with the formula FeSO4.7H2O. Originally it was known as “green vitriol” or “copperas”. It is soluble in water and melts at 64C. It is produced as a by-product of the pickling of steel. It is used as a mordant in dyeing wool, in the manufacture of ink, in water purification as a substitute for aluminum sulphate, as a fertilizer, and as a feed additive. It is also used to produce magnetic ferric oxide. Please be aware that ferrous sulfate is only for use on grass areas and is not designed to be used on hard surfaces as it may stain. For hard surfaces like roofs, paths, patios etc Zinc Sulphate can be used or a proprietry chemical like MossKill Premium. If ferrous sulfate comes in contact with concrete for example it will stain the surface brown which effectively is a rust stain. To remove this stain one will need to use an acid solution like Oxalic acid (used as a 5% solution). When treating lawns etc with ferrous sulfate keep pets off the surface for at least one week. This protects their well being and prevents transfer of residues onto hard surfaces (i.e. brown staining). For full MSDS for iron sulfate / ferrous sulfate see website – click on link below. What is Pigment yellow 42 and what is it used for ? Pigment yellow 42, also known as Yellow Iron oxide is a yellow powder in the form of an alkaline oxide with comparatively stable chemical properties. It is slightly soluble in acids but completely dissolves in concentrated hydrochloric acid. Iron oxide is used in coating, printing ink and paint, and also as a coloring agent for building material, rubber and paper-making. It widely used due to its bright and pure colour, good weather proofing and high opacity. It is manufactured by the precipitation of ferric oxide hydroxide followed by purification through washing, drying and milling. 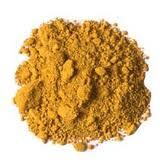 Yellow iron oxide is insoluble in water and alcohol but is soluble in concentrated mineral acids. When heated to 80C it loses water and converts to red ferric oxide. Pigment yellow 42 is also used in paints, enamels, Porcelain Enamels, concrete colorants, plastics, rubber, and paper where permanent yellow is required. It has excellent hiding power, absorbs ultraviolet light, is compatible with a broad range of vehicles, disperses well in aqueous and solvent systems, does not contain heavy metals. Other applications are in Primers, Wood Primers, Dry Distemper, Cement Paints, Adhesives, Cement Flooring, Vinyl Flooring, Designer Tiles, Paving blocks, Cement Colours , Mosaic Tiles, Ceramics, Plastics (Plastics Asphalt), PVC, Rubber products ,Paper, Crayons, Leather, Glazes, Dadoes, Plaster works. Elastomers , Textile, Inks, Fiber, Glass Polishing, Metal Polishing, Rouge Polishing, Optical Lens etc . . .
What is Ferric Oxide Monohydrate and what is it used for ? Ferric oxide monohydrate also known as Yellow Iron oxide or Pigment yellow 42 is yellow powder in the form of an alkaline oxide with comparatively stable chemical properties. It is slightly soluble in acids but completely dissolves in concentrated hydrochloric acid. Iron oxide is used in coating, printing ink and paint, and also as a coloring agent for building material, rubber and paper-making. It widely used due to its bright and pure colour, good weather proofing and high opacity. It is manufactured by the precipitation of ferric oxide hydroxide followed by purification through washing, drying and milling. 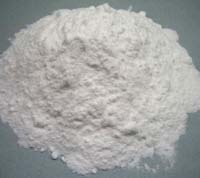 Food Grade oxide is used as a food additive. Ferric oxide monohydrate is also used in paints, enamels, Porcelain Enamels, concrete colorants, plastics, rubber, and paper where permanent yellow is required. It has excellent hiding power, absorbs ultraviolet light, is compatible with a broad range of vehicles, disperses well in aqueous and solvent systems, does not contain heavy metals. Other applications are in Primers, Wood Primers, Dry Distemper, Cement Paints, Adhesives, Cement Flooring, Vinyl Flooring, Designer Tiles, Paving blocks, Cement Colours , Mosaic Tiles, Ceramics, Plastics (Plastics Asphalt), PVC, Rubber products ,Paper, Crayons, Leather, Glazes, Dadoes, Plaster works. Elastomers , Textile, Inks, Fiber, Glass Polishing, Metal Polishing, Rouge Polishing, Optical Lens etc . 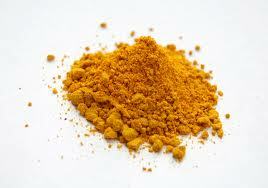 . .
What is Yellow Iron Oxide and what is it used for ? Yellow iron oxide is also used in paints, enamels, Porcelain Enamels, concrete colorants, plastics, rubber, and paper where permanent yellow is required. It has excellent hiding power, absorbs ultraviolet light, is compatible with a broad range of vehicles, disperses well in aqueous and solvent systems, does not contain heavy metals. Other applications are in Primers, Wood Primers, Dry Distemper, Cement Paints, Adhesives, Cement Flooring, Vinyl Flooring, Designer Tiles, Paving blocks, Cement Colours , Mosaic Tiles, Ceramics, Plastics (Plastics Asphalt), PVC, Rubber products ,Paper, Crayons, Leather, Glazes, Dadoes, Plaster works. Elastomers , Textile, Inks, Fiber, Glass Polishing, Metal Polishing, Rouge Polishing, Optical Lens etc . . .
What is Iron (II) Sulphate heptahydrate and what is it used for ? Iron (II) sulphate heptahydrate also known as Ferrous (II) Sulphate is a blue green crystal with the formula FeSO4.7H2O. Originally it was known as “green vitriol” or “copperas”. It is soluble in water and melts at 64C. It is produced as a by-product of the pickling of steel. It is used as a mordant in dyeing wool, in the manufacture of ink, in water purification as a substitute for aluminum sulphate, as a fertilizer, and as a feed additive. It is also used to produce magnetic ferric oxide. A typical average strength to use would be a 3% solution. To make the solution add 30g of ferrous sulphate for every litre of water (for example for a 15L sprayer you will need 450g of ferrous sulphate). An acre is approx 4050 sq m. Therefore a 3% solution applied at 5sq m per litre will require 810L of solution which equates to 24.3kg of ferrous sulphate powder. For full MSDS for iron sulphate / ferrous sulphate see website – click on link below. People have been fighting fleas, ants, cockroaches and other pest with boric acid for decades. Boric acid is one of the most effective flea control agents ever developed. Fleas live off the blood they gain from their hosts, normally animals & pets like cats and dogs but they can also feast on the blood of humans. Boric acid is a wonderful tool for controlling fleas in homes, especially on carpets where they tend to live and lay their eggs. It is effective in extremely small amounts and retains its potency almost indefinitely provided the deposit remains dry. Boric acid is deadly to fleas, but is low in toxicity to people, pets and other non target animals. It is also odourless and contains no volatile solvents. In humans, boric acid is only slightly more toxic than table salt but care must always be taken when using around pets and children. Fleas succumb to boric acid when they crawl over treated areas. Boric acid powder kills fleas by acting as a desiccant causing severe dehydration to them and ensuring death. In order to eliminate the fleas it is important to treat all areas by sprinkling the powder over the surfaces. Take an old Pringles container or similar which has a detachable plastic lid. It is important to place stick a label on the outside of the container and write clearly that it contains Boric Acid so as there is no chance of it being misused at a later date. Put a few pebbles into the container (these help to prevent the powder caking when it is stored away and also helps when applying). Now fill the container up to about 2/3 full with the boric acid powder. Carefully, using a knitting needle or similar pointed tool pierce the plastic lid of the container 20 or 30 times to form a series of holes through which the boric acid can pass. Alternatively just buy a shaker as for instance used for castor sugar but make sure that you label it for the boric acid and keep it away from food stuffs and out of reach of children. Where the powder is applied is just as important as how it’s applied. 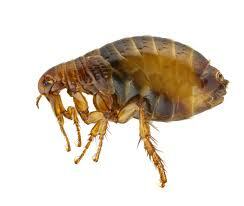 Fleas prefer to live in carpets, fabrics, upholstery, bedding etc. All areas can be treated with boric acid powder but care should be taken with coloured fabrics to prevent possible discolouration. If unsure pre-test an inconspicuous area first. Remember to apply under furniture. NEVER apply boric acid onto countertops or other exposed surfaces, especially those used to prepare food. Before applying boric acid it is advisable to vacuum the carpets, upholstery etc first. Dispose of the vacuum bag into the bin as many of the fleas will been lifted. Remove all loose objects, toys, shoes, etc from the areas to be treated. For best results, the powder should be applied in a very thin layer barely visible to the naked eye. To apply a fine layer, shake the container and puff a small quantity of the powder into the target area. Then work the powder into the carpet pile with a soft bristled brush so that it gets down where the fleas tend to live. If applying to upholstery use a hand brush remembering to work the boric acid down into gaps. After 1 – 2 days vacuum all surfaces treated and vacuum carpets regularly after this as the boric acid will continue to kill both the fleas and their larvae. After a month shampoo carpets.